A calming facial is a beautiful way to relax, de-stress and treat yourself. Kay provides Sun Cloud by Kay products at a great price so everyone can experience a little bit of luxury. Everyone deserves to feel fresh faced the natural way. Relax as your nose is awakened with our beautiful scents. Concluded with moisturiser and eye gel to flush out toxins and combat puffiness whilst cooling, firming and brightening. Luxurious pampering treatment. 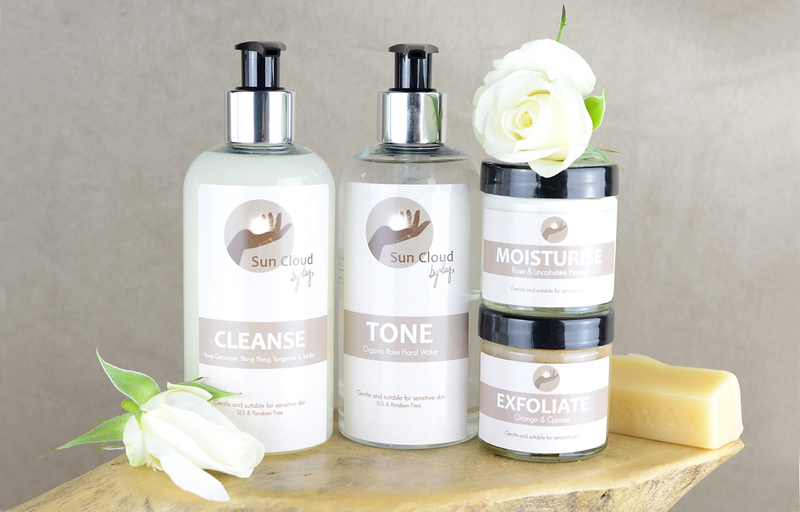 Firstly cleansing with Sun Cloud’s nourishing aromatherapy cleanser, then you receive a hand or foot massage, whilst a mask brightens your skin, this is followed by a facial massage with essential oils and exfoliation. These luxury oils are steamed into the skin with a hot towel and afterwards rose water will cool and refresh your skin whilst you are experiencing a soothing scalp massage.